Arx Pax makes sustainability profitable. The Arx Pax SAFE Foundation System™ (Self Adjusting Floating Environment) provides a more resilient and sustainable foundation for at-risk homes, properties and communities. We innovate by integrating well proven resilient construction technologies that make sustainability profitable by increasing what, where, and how much can be built. Providing greater margins per unit of development, Arx Pax enables more affordable housing and more sustainable construction techniques by separating the buildings, infrastructure and open spaces of communities from destructive forces. Instead of spending billions on rebuilding after disasters, we can build responsibly and sustainably so communities will last for generations. * This model is for the demonstration of concepts and components of the SAFE Foundation system in a compact model as an interactive learning aid. 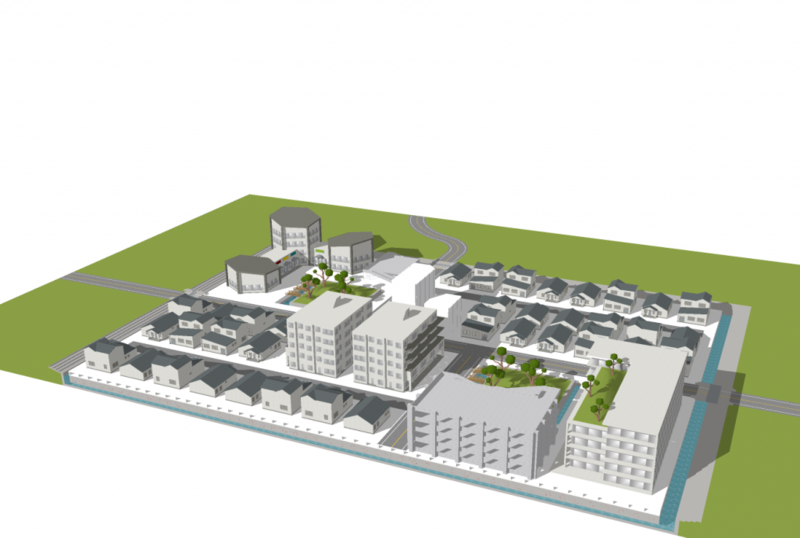 The model does not represent an actual project, actual site plan or the likeness of an actual planned development. Converting low value land into prime real estate. High value projects are now possible in unbuildable areas, creating more opportunities for profitable, resilient communities. 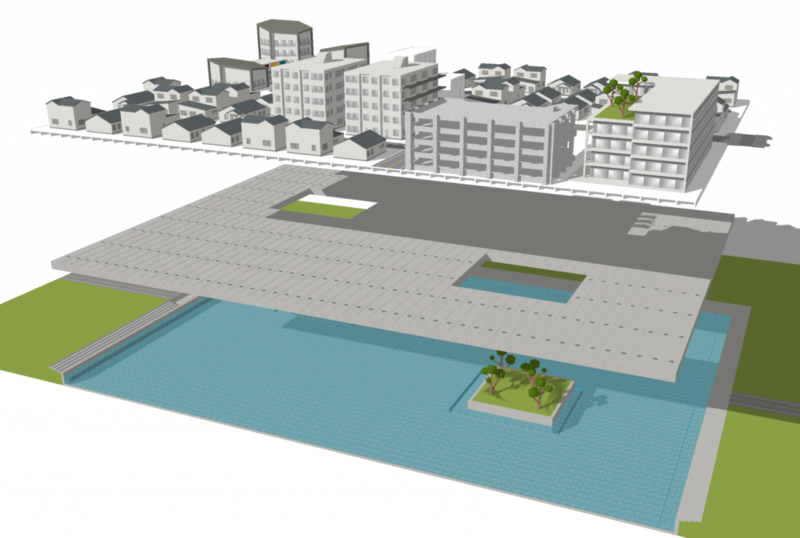 Coastal and riverine lands that are developmentally limited by soil and flood hazard conditions can now become impervious to these challenges with the SAFE foundation. 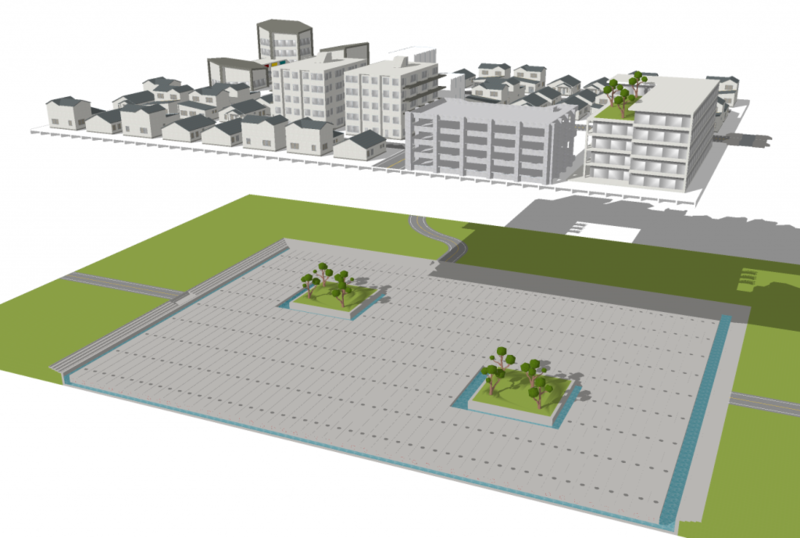 Instead of parking lots and junk yards, these low value lands become the location for new mixed-use projects, community developments, affordable housing, corporate housing complexes and other types of developments with a high floor area ratio. These communities help cities with affordable housing, balanced job/housing, self-contained water management and emergency operations. Arx Pax offers the SAFE Foundation System to builders, land owners & developers, corporations and survival driven coastal entities to enable the development of economic, sustainable and resilient communities. With a team of world recognized partners in architecture, engineering and construction, we are continuing to develop the technology and have interest from around the world. Arx Pax has been featured in Forbes, Modern Luxury, Wired, The Wall Street Journal and more. SAFE Foundation System US Patents: 8,777,519; 9,103,118; 9,399,878; 9,790,702. Multiple patents pending.